David Ward is best known for his photographic and light works of the 1980s, performances later in that decade, and architecturally related works using light, glass and sound from the 1990s to the present. The exhibition includes drawings, photography, collage, painted reliefs and film. 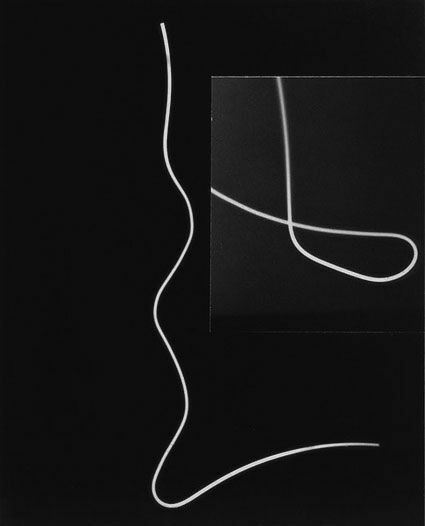 It reveals lines of interest that have persisted over four decades, representing Ward's study of the world - of light, the body, the activity of line and the sensitive nature of surfaces. Shown together for the first time, these works provide an unusual insight into the practice of an artist. 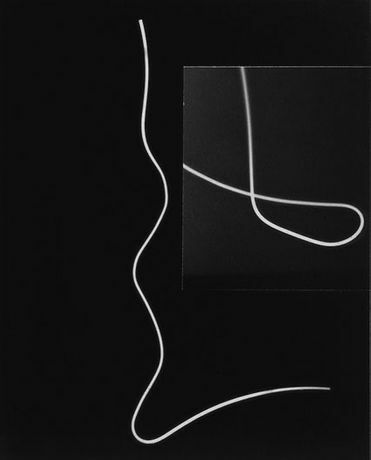 Collaged photograms combine ordered motifs with delicate, unpredictable lines of exposed light. The filmed surface of the Orinoco River becomes almost immaterial, as does the photographed patina of Rodin's sculpture The Age of Bronze. Line drawings convey the stasis and motion of figures in live performance. And recent pastels, juxtaposing two 'colour fields' are alluringly tactile, yet blank and elusive. Ward's most recent work (top right), made especially for the exhibition, is The Analysis of Beauty, filmed in King's College Chapel. With two films, projected one above the other, the work explores the beautiful fan-vault, simultaneously from below and above the ceiling. During the exhibition, a newly commissioned work, Two Pianos on two floors, by composer Orlando Gough and David Ward, will be installed in the house.